2. 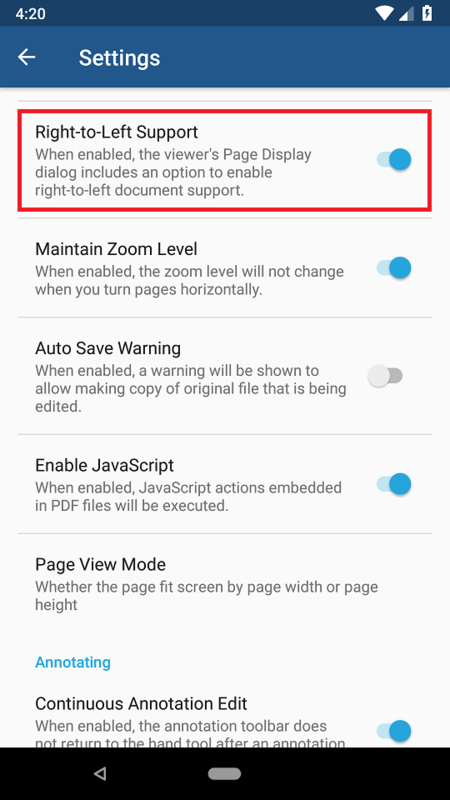 By default, Right-to-Left Support is enabled only if the device locale during installation is set to right-to-left. Tap or slide the toggle to enable it. 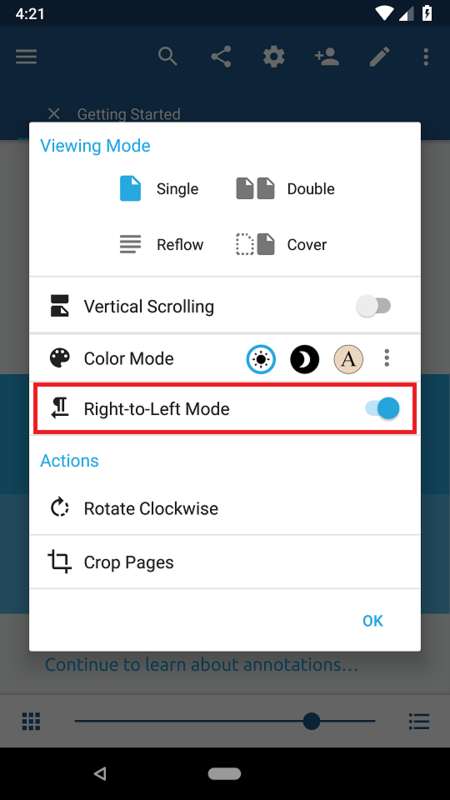 If Right-to-Left Support is enabled, you can switch between right-to-left mode and left-to-right mode. 1. Tap the View Mode icon on the Action Bar. 2. 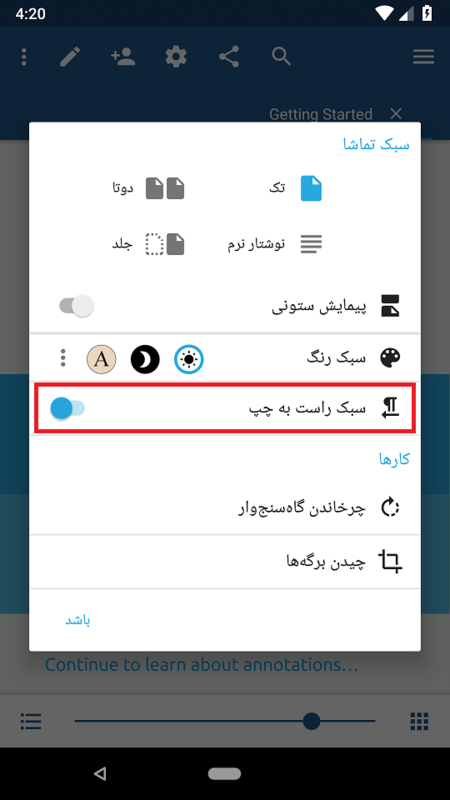 Tap or slide the toggle to enable/disable Right-to-Left Mode.